Like the other characters in the Superman the Movie series, 12″ Jor El is an algamation of the comic and movie looks for the character. The outfit is the comic version but the head sculpt depicts a white haired Marlon Brando as he appeared in the movie. 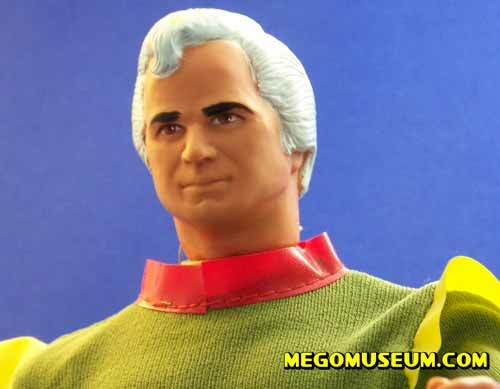 It’s largely thought that Mego didn’t want to pay an additional licensing fee for the movie designs but it is also possible that they simply thought the comic outfits were more toyetic and recognizable. The head sculpt is by Ken Sheller known for sculpting the Logan’s Run characters among others. Boxed Jorel is also known to come with a “Fly Away Action” sticker. 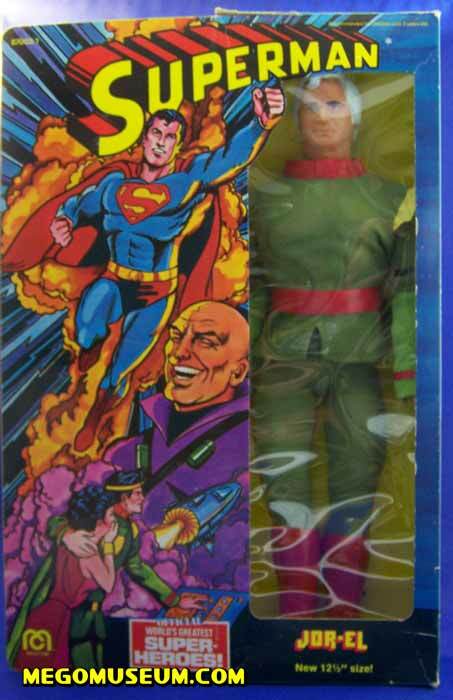 It’s interesting to note that the packaging depicts a comic version of Jor-El complete with dark hair.